Blake Morrison, investigative projects editor at Reuters in New York and the school’s lead trainer, kicked off a packed programme urging journalists to “use our skills of observation, be curious”. Morrison detailed how journalist can pinpoint sources and find key information during their investigations. “People(Sources) will believe you if you really try to understand what the problem is,” he added. Morrison also explained the importance of careful planning in complex stories. 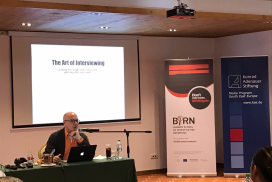 BIRN journalist and investigations’ editor Lawrence Marzouk presented the school’s investigative fund, which provides grants to promising story ideas. He said that participants will be split into groups and develop investigative proposals to present to a panel of judges on the final day. Two or three stories will receive funding from a pot of around 6,000 euro so that participants can carry out their investigation. “I will help you to develop the story,” Lawrence added. Mar Cabra, who heads ICIJ’s Data & Research Unit, outlined how journalists can find data and the importance of data journalism. She revealed how she had used official statistics to expose the worrying use of psychotropic drugs among children in the US. “I decided to check how many drugs children in foster care in the state of Texas are prescribed and their use of psychotropic drugs,” Cabra said. She presented a selection of groundbreaking data stories and emphasized that we need to think about data in every story, because “data is everywhere”. “Try to do data as much as possible, and not only for clicks, use it for investigation,” she said. In the afternoon, Philipp Grüll’s documentary “Tito’s Murder Squads – The Killing of Yugoslav Exiles in Germany” was screened. 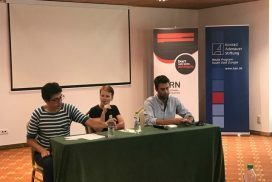 The first day’s working sessions concluded with a discussion about the use of confidential files with Philipp Grüll, Anuska Delic, investigative and data journalist from Slovenian daily newspaper Delo, Besar Likmeta, BIRN Albanian editor, and Marija Ristic, Balkan Transitional Justice assistant editor. 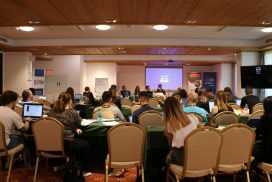 The sixth BIRN Summer School brings together young journalists from Serbia, Croatia, Bosnia and Herzegovina, Albania, Macedonia, Bulgaria, Austria, Kosovo, Palestine, Germany and Georgia to learn from leading media experts how to use social media to uncover crimes, skills for cracking open offshore companies and how to make reluctant sources talk. 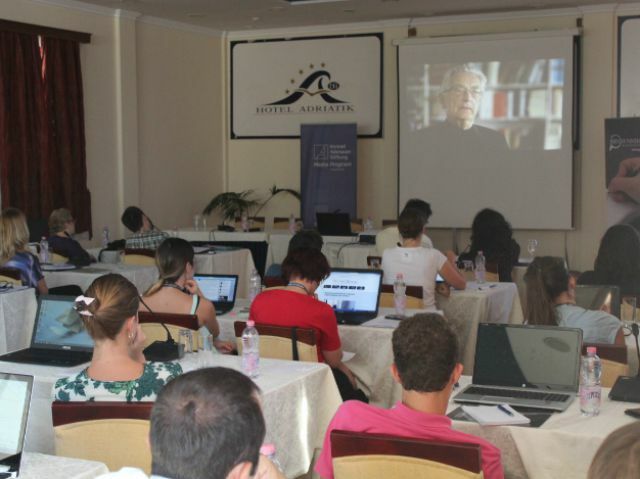 The Summer School of Investigative Reporting 2015 is organised by the Balkan Investigative Reporting Network, BIRN, in cooperation with the Media Program South East Europe of the Konrad-Adenauer-Stiftung and with support of the Austrian Development Agency (ADA), Open Society Foundations and USAID Macedonia.